The line was really long, but it moved pretty quickly - I'd say it took maybe half an hour to get in (and well worth the wait!). It's hard to put into words what it feels like to be inside such an iconic structure. 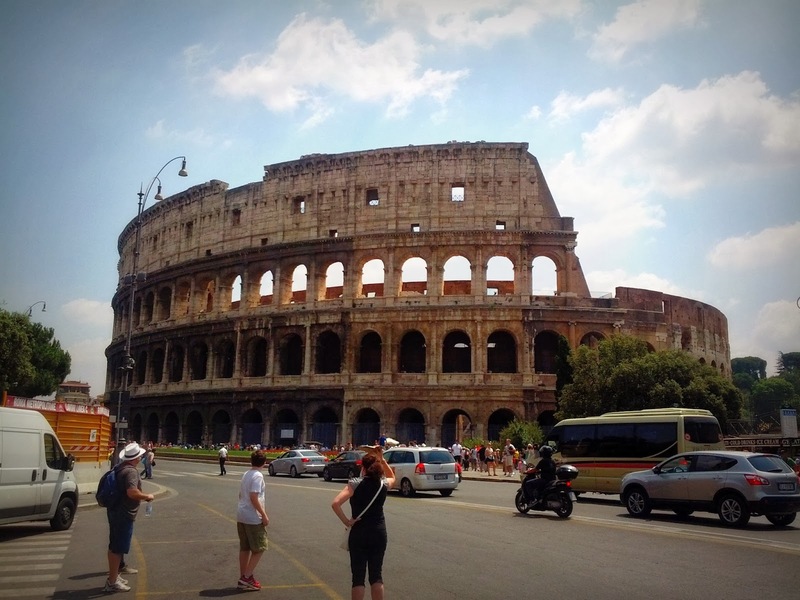 Suffice to say, it's so awe-inspiring that I consider the Colosseum to be one of my favorite sights to see around the world! If you're planning to visit, I'd recommend buying tickets ahead of time or getting them at the Foro Romano or the Palatino (the ticket covers all three) instead of the Colosseum itself. That'll cut out most of your wait time. After the Colosseum, the most impressive sight we saw was unquestionably Il Vittoriano. I'd never heard of it before visiting Rome - but it was pretty hard to miss when walking through the city. 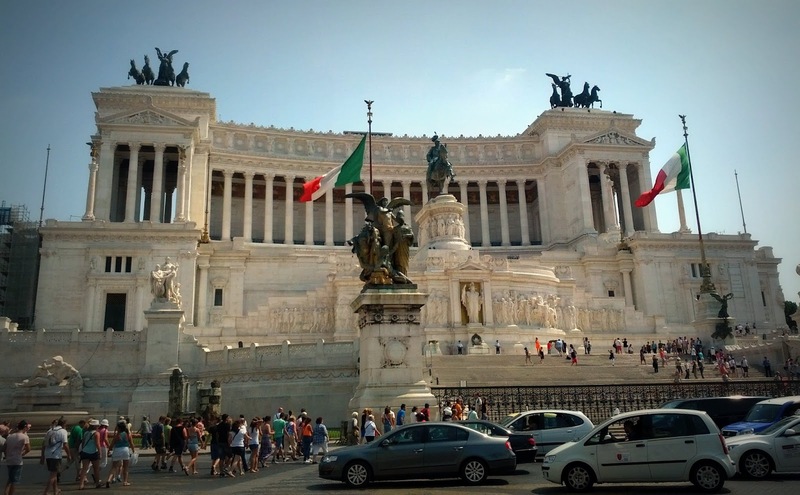 The relatively-new monument is a tribute to Victor Emmanuel, the first king of unified Italy, and a man with some seriously-impressive facial hair. We continued our tour by heading up to the Pantheon - another place that was on my short list before visiting. 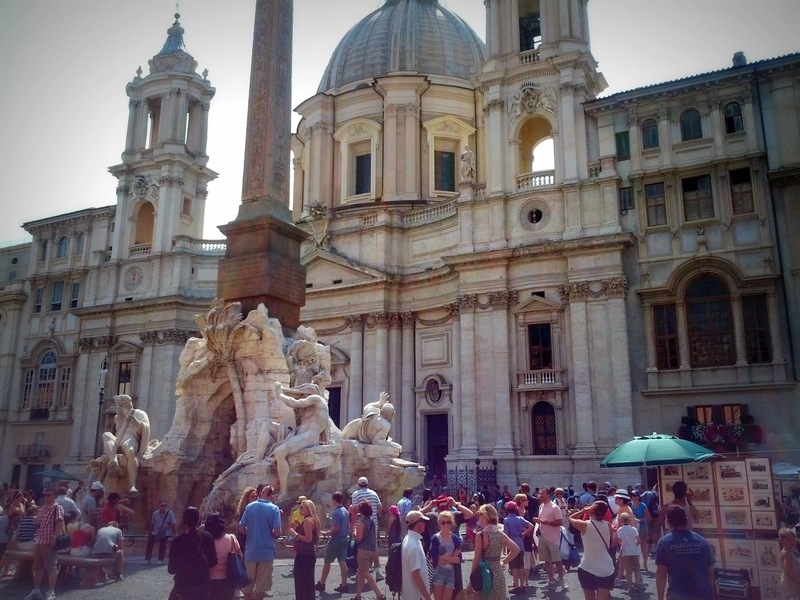 Before heading back to the hotel to clean up for dinner, we also stopped by Piazza Navona and Trevi Fountain. Quite a full day of sight-seeing! We made our way back to the hotel to rest for a bit and to get cleaned up after a day's worth of sight-seeing in the sun. I was really excited for dinner, because one of our colleagues had raved about a place called Pietro's, and that's where we were headed! 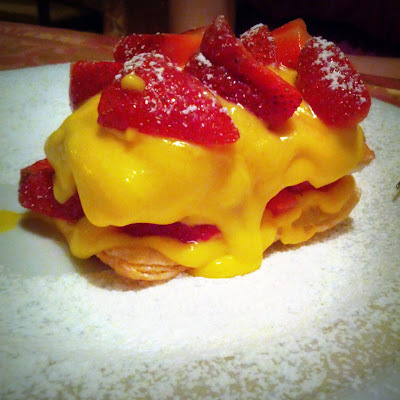 Sure enough, Ristoranti Pietro Valentini (as it is officially known) did not disappoint. We got there right as it opened for dinner service. We didn't have a reservation, and had heard that with so few seats, it can fill up pretty quickly during peak hours. 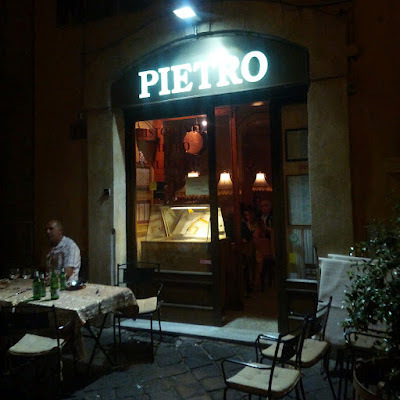 Pietro's - a new favorite in Rome! Simona, who owns the restaurant with her husband, showed us to a table and took our order. She was a true delight, and really made us feel at home. 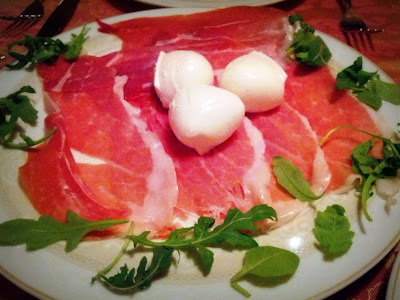 On her recommendation, we shared a prosciutto and mozzarella appetizer to start. It was very tasty, but it's hard to wrong with cheese and cured meat! I was more excited about the main course. Pietro's is known for their truffle menu - a long list of dishes that come with shaved black truffles. 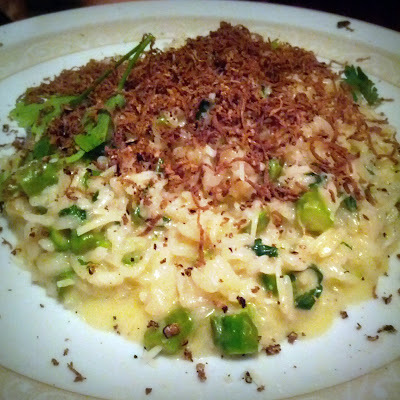 My colleague ordered the risotto with asparagus, and I had Simona's favorite - gnocchi with Gorgonzola and bacon. They shave the truffles right at your seat, and let's just say that they're not shy with the portions! The gnocchi was very good - really dense and rich. 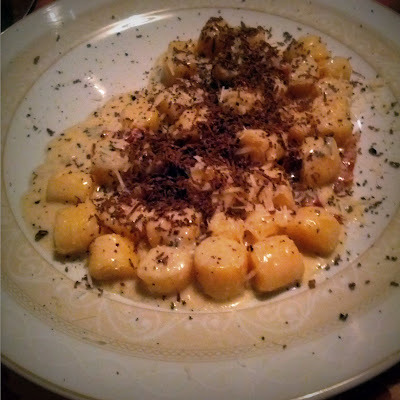 I usually prefer my gnocchi to be lighter and fluffier, but this dish was just deliciously decadent. The balance of all the components worked together perfectly - the sharpness of the Gorgonzola, the richness of the gnocchi themselves, the salty, crunchy bits of bacon, and then the earthiness of the black truffle shavings. Amazing! The next day, our short trip to Rome was over, and it was off to Milan. While we were able to squeeze a lot into a single day, I still felt like there was much more to see. 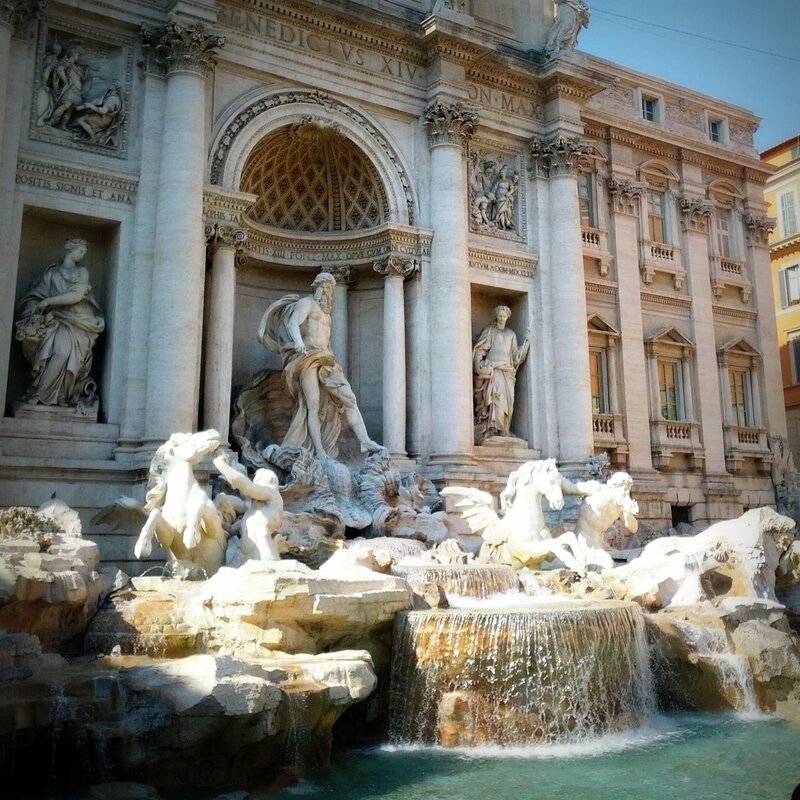 Next time, I definitely want to see the Vatican... and I definitely want to go back to Pietro's! For those of you who have been to Rome, what were some of your favorite places to see and things to do? The Colosseum..... literally left me with goosebumps! I would suggest the Circus Maximus the next time you're in Rome. 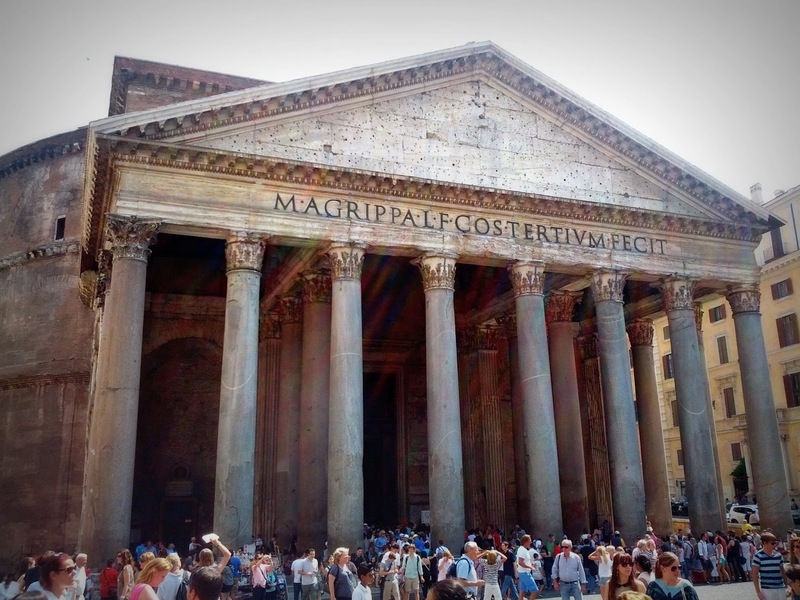 Who wouldn't want to see the site of all those famous chariot races? I'll add it to the list for next time! I figured there were enough carbs already! 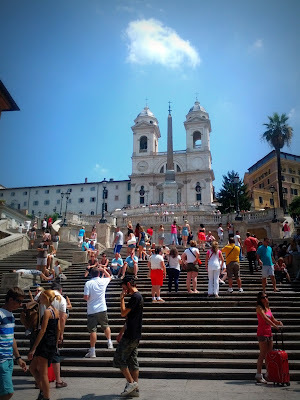 Going to roma for the first time this year..wonderful review of pietros..Grazie! Enjoy! You won't be disappointed!